As an educational platform-as-a-service company, Intellus provides a window into a student’s pathway through a course. We provide real time data on student engagement to inform instructional design. We help you to understand what materials are available – and what’s working. 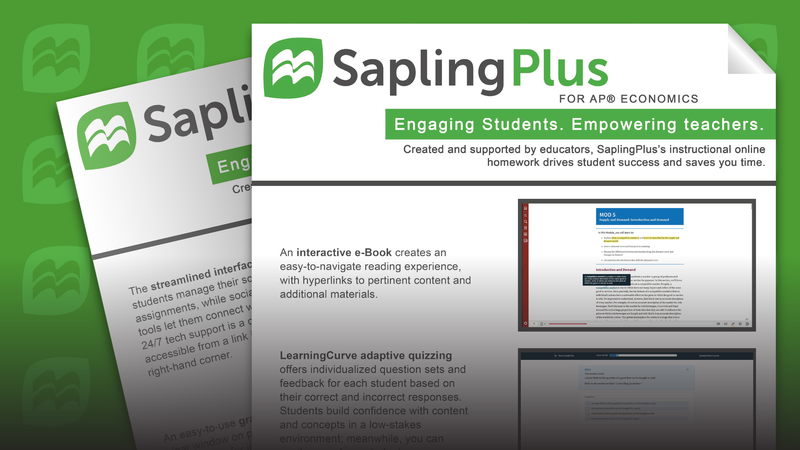 Created and supported by educators, Sapling Learning’s instructional online homework drives student success and saves educators time. Bedford, Freeman & Worth Publishing Group, LLC. All rights reserved. AP® and Pre-AP® are trademarks registered by the College Board, which is not affiliated with, and does not endorse, these products.